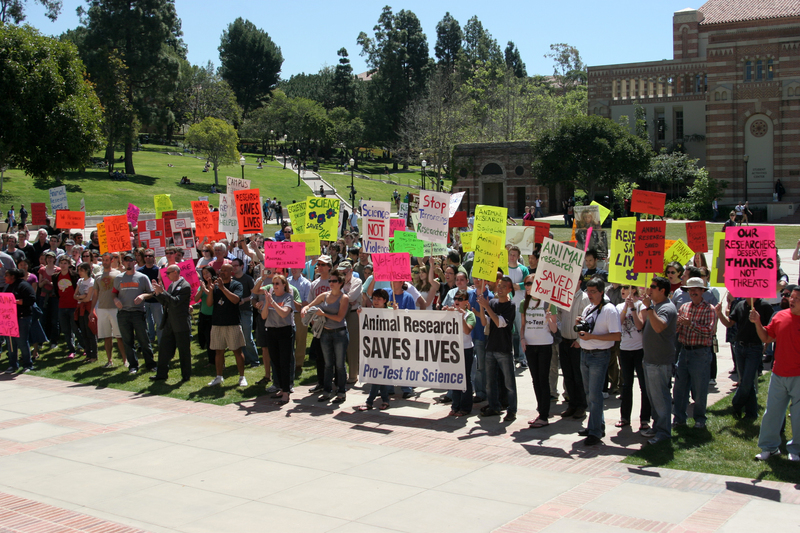 In 2009, Pro-Test for Science held an historic rally on the UCLA campus; bringing over 700 people onto the streets in support of the scientists and researchers who carry out lifesaving medical research using laboratory animals. 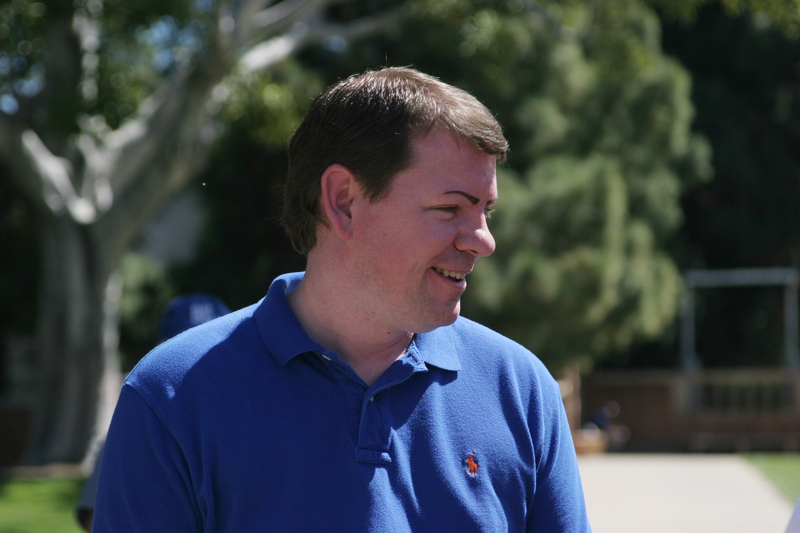 Such research continues to advance scientific knowledge and plays a vital role in the development of innovative treatments for human disease. 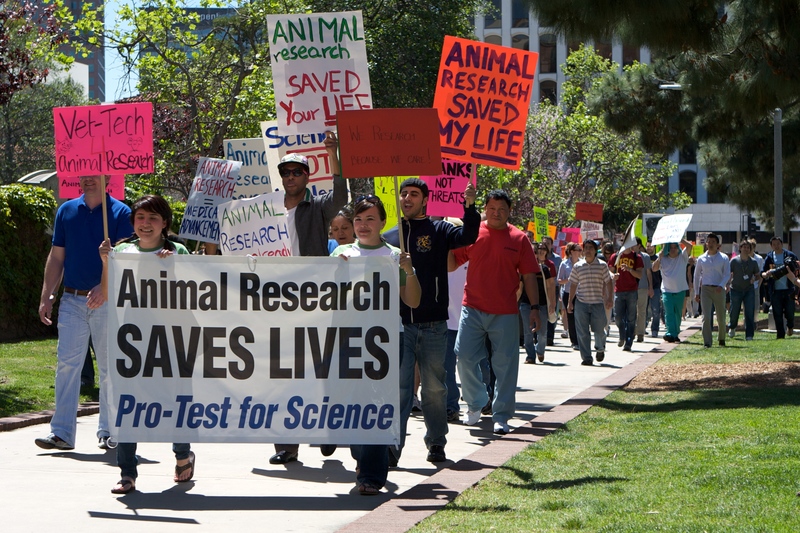 However, animal rights extremists have continued to escalate their threats against researchers and their families. 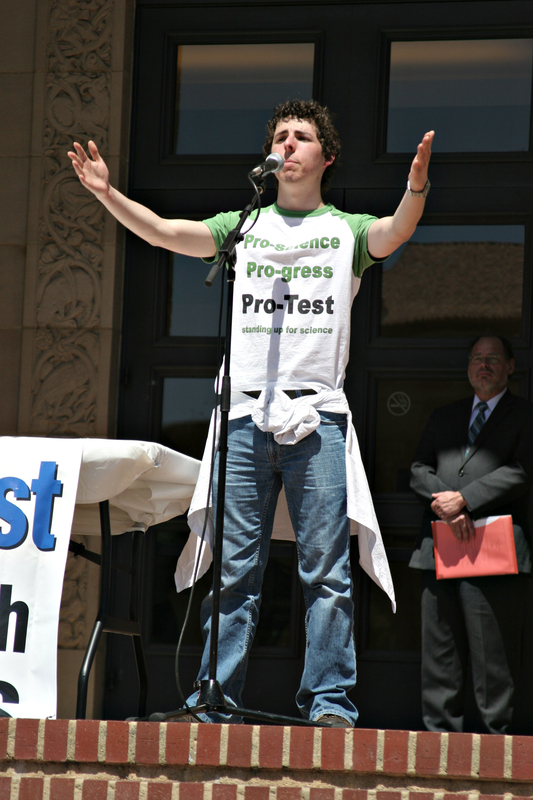 On Thursday April 8th Pro-Test for Science will respond by rallying students, scientists and members of the public to support the cause of medical science. 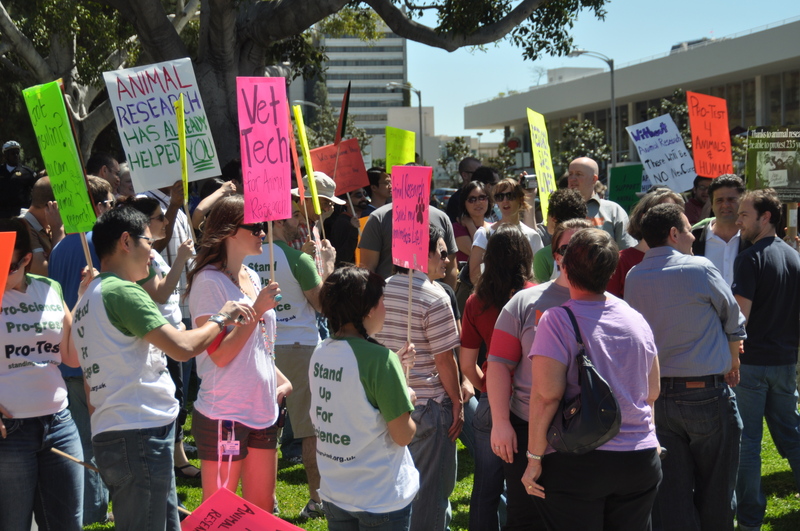 We call on the community to stand together against the recent tide of animal rights activism which has worked to misrepresent research and coerce those that carry it out. 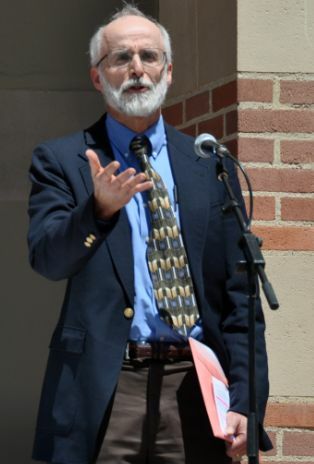 Celebrate the successes of animal research in the development of treatments for disease, new diagnostic procedures/instruments, and surgical techniques. 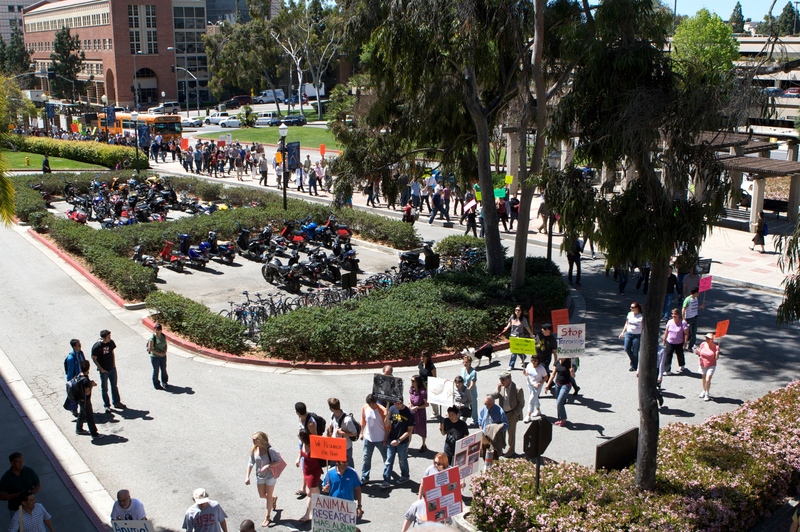 Defend the rights of researchers to pursue their work free from harassment and intimidation. 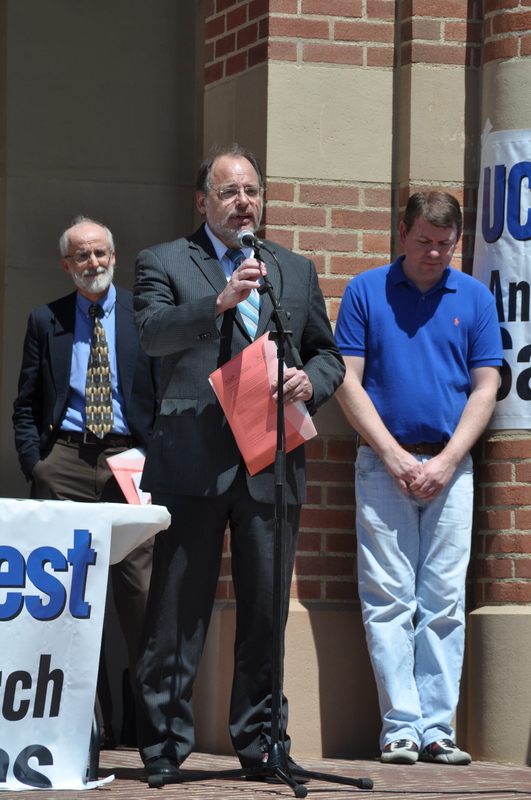 The rally will begin on Thursday April 8th at 11:30 AM, on the north-east corner of Westwood Blvd. 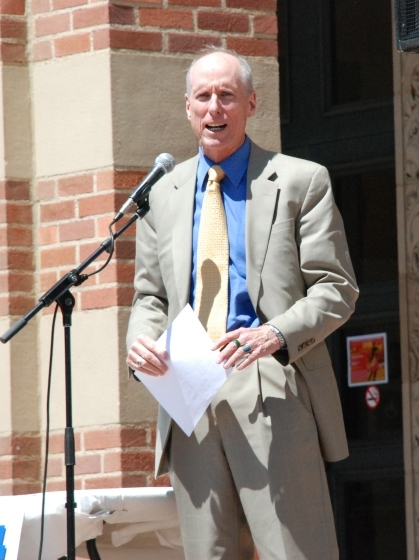 and Le Conte Ave., which will be followed by a march to Wilson Plaza, where speakers include UCLA Executive Vice Chancellor Scott Waugh and Dr. Kevin Quinn from the National Institute of Mental Health. 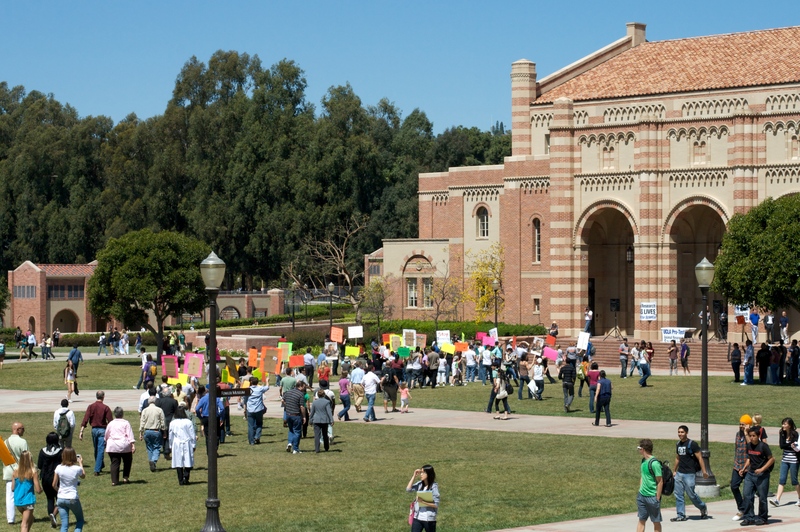 The rally will take place from 11:30am, Thurday April 8th 2010 on the north-east corner of Westwood Blvd and Le Conte Ave.